The sun is setting on older versions of Internet Explorer, andMicrosoft is making sure users know about it. The software giant isn’t just ending support for Internet Explorer 8, 9, and 10, it’s also going to bug you about it. The final patch on January 12th will come with an update nag that reminds people still using these aged browsers that they ought to upgrade. Microsoft would certainly prefer people upgrade to Internet Explorer 11 or Microsoft Edge, if they’re using Windows 10. That’s not what users have been doing in the last few years. The “end of life” patch will include more than the upgrade notification. It will also have the last round of security patches for these browsers. A browser is often the front line of defense from malware, so running something with known vulnerabilities is just asking for trouble. Microsoft is remaining firm that this is the end of the line for its old browsers. Apparently they want to avoid a “Windows XP” situation where the end of support is slowly push back again and again. The process of upgrading to a new browser should be pretty straightforward for most consumers. The EOL notification will include basic instructions, but firms with more than 500 employees can contact Microsoft directly for assistance deploying an updated version of IE or Edge. Small businesses can seek help from a Microsoft certified partner. There will probably be a lot of upgraders too. About 20% of internet users are still running these old versions of IE, according to NetMarketShare. That’s only a bit smaller than the desktop user base of Internet Explorer 11 (about 25% of all browsers). Edge is hovering right around 2% despite being the default in Windows 10, which Microsoft was proud to note recently has seen high adoption. 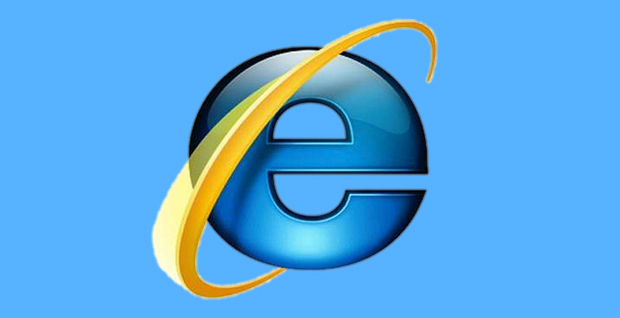 Internet Explorer used to be the clear browser of choice for consumers. Anyone who used IE back in the early 2000s probably remembers how basic the feature set was, and that’s one of the things that gave upstarts like Firefox a chance. Microsoft was resistant to adding features like extensions and tabs to Internet Explorer for years. When Chrome came along, IE’s fortunes only got worse. Two years ago IE was still accounting for most desktop browsers on the internet with 58.2% market share. By last month, that had dropped by 10 points. During the same period, Chrome went from 16.4% to 32.2% of the desktop market. Microsoft might be hoping to nudge some desktop users to use its newer browsers, but it really doesn’t have a prayer when it comes to mobile. Virtually no one uses Microsoft’s mobile browser because no one uses Windows on phones. The lion’s share of this market goes to Mobile Safari followed by Chrome.